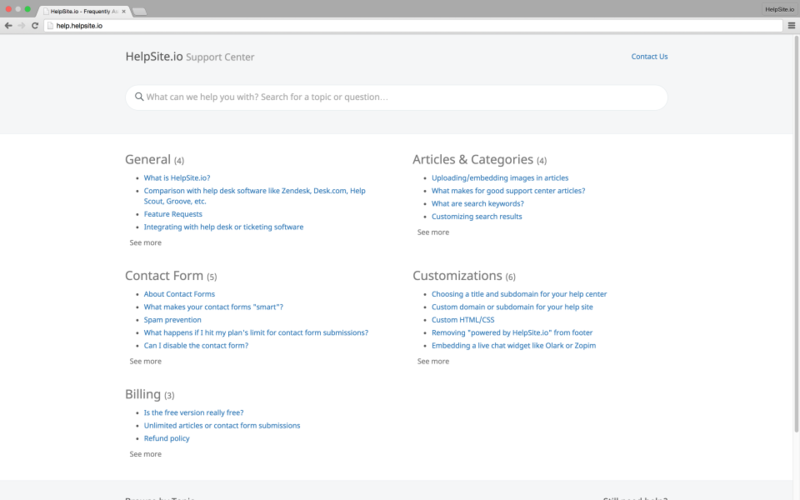 HelpSite is designed for any business or organization that needs a Support Center, Knowledge Base, or FAQs for their customers or users. 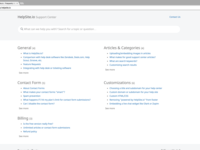 HelpSite is a simple service to help you setup the perfect support center, or "help site". 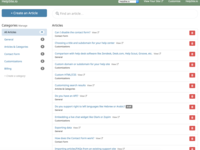 HelpSite gives you 1) a support site with your FAQs and knowledge base. 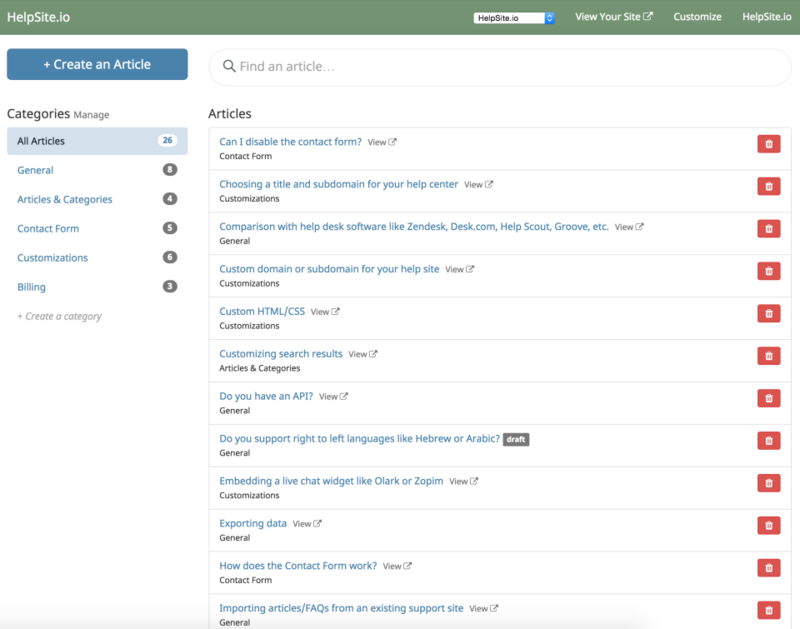 It's beautiful, mobile-friendly, and searchable so your customers can find answers fast. 2) A smart contact form that auto-suggests articles as someone types their message. 3) A lightning-fast search box that works like magic to find relevant helpful articles. Pros: We've been building knowledge banks from time to time however, we it is expensive to hire an IT guy to do the coding for us to create a robust KB . Thanks to HelpSite for providing us a solution that is just fit with our needs. Cons: For now, it is not giving us the kind of IP whitelisting yet. Overall: I would likely to recommend this to other businesses like us. Big or small, definitely HelpSite is a must especially on documenting policies and processes updates. Pros: Value for money. Ease of use. Cons: Limited 1-level hierarchy for categorizing articles. Overall: We needed to implement a 3rd party FAQ platform for our website. We did lots of research and testing of options including ZenDesk, Userdeck, Helpscout and Zoho, among others. We compared features and pricing, and our needs. 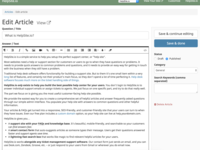 Helpsite offers a clean, easy-to-use interface with a limited feature-set. It is good at what it does, and for the price, can't be beat. 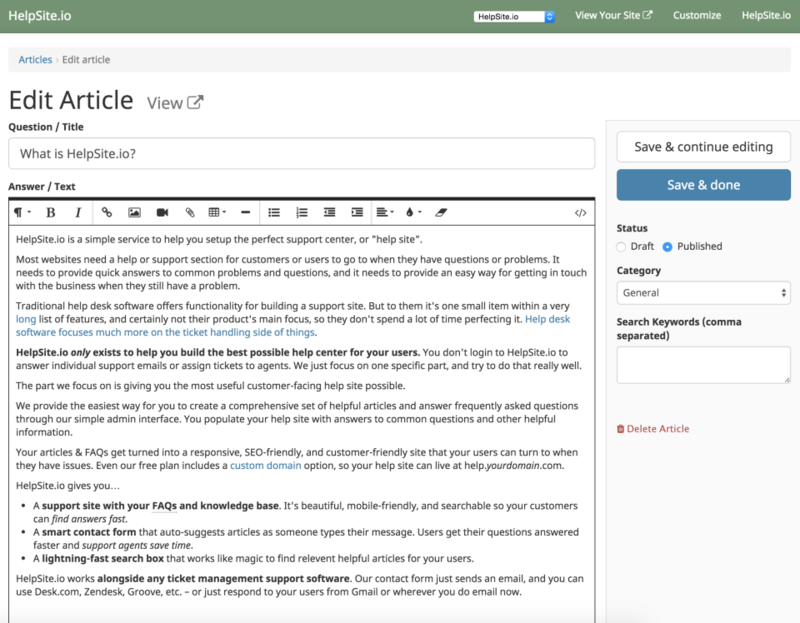 If you just need a simple FAQ, Helpsite is the way to go. Pros: Most easy platform to use for a knowledge base. Their power is that all the functionality is super easy to use. Both for the admin as well for the client using the knowledge base. Cons: If there would be a thing to say here, it would be that if you upload a logo, it links to your own website in stead of the knowledge base itself. For me this is a con, I think for most people a plus. The easiest knowledgebase we've ever used! Pros: We absolutely love the WYSYWIG editor. It's impressively simply, and we prefer to view how something is going to look before we post it. Seriously, the product fits all of our needs, and we enjoy using it! Overall: We were able to set up our knowledgebase articles within a day, and our users could benefit from this immediately. Comments: Started using Help Site around 9 months ago, and find it absolutely brilliant. Very easy to set up, configure and manage, it has become an invaluable resource for us and would recommend to anyone. Great service with great support! Overall: I was in need of simple and cheap FAQ software and in the same time very customizable. Helpsite have it all. I am very satisfied of their support too!